A pair of carved marble portrait reliefs, Italy 19th century. 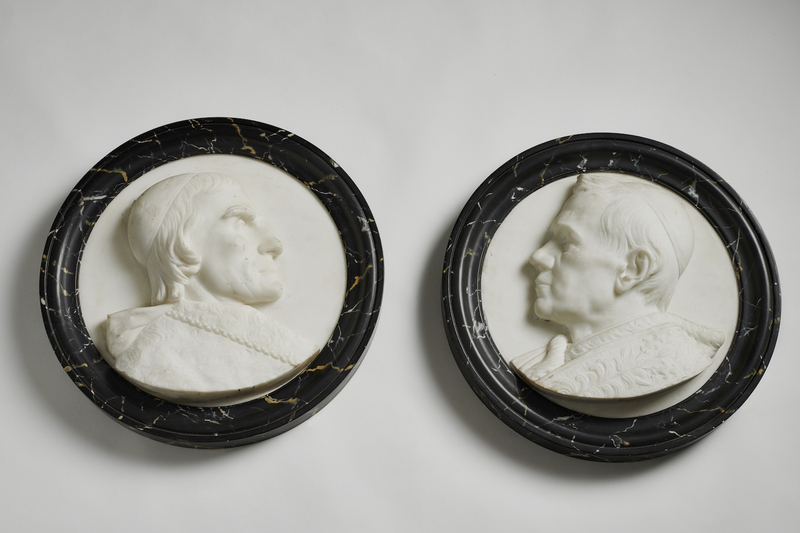 Portraits in white marble reliefs of anonymous cardinals, each in a later faux marble painted wood frame. D. 47 cm (36 cm).